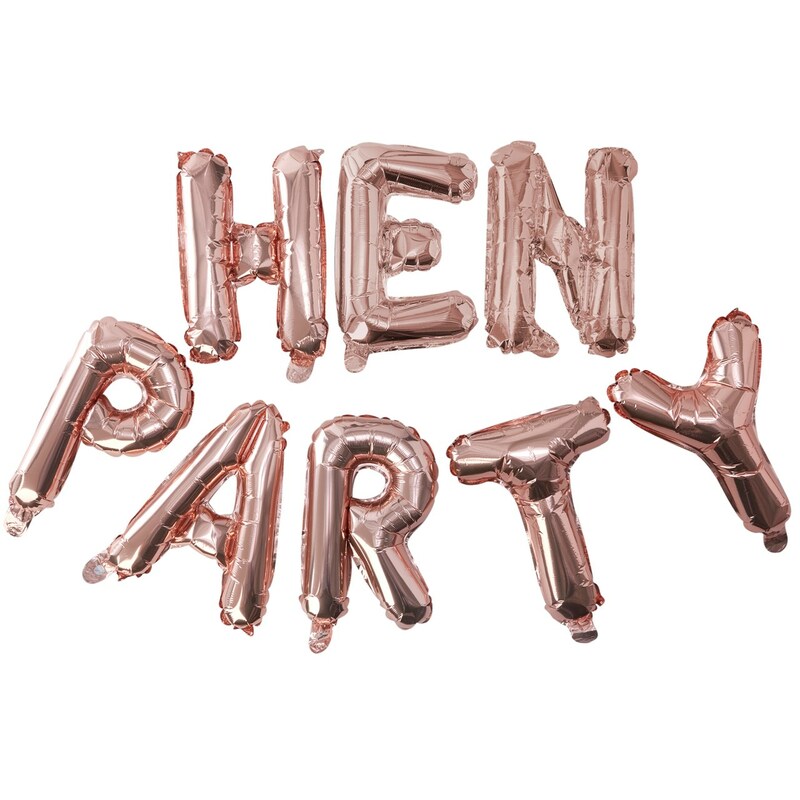 DescriptionThis ""Hen Party"" balloon bunting with trendy rose gold finish is the perfect eye-catcher for your party. No helium is needed to inflate these shiny 16"" balloons. Each pack includes 8 foil balloons, measuring 16"" each, plus a straw for easy inflation and ribbon. This ""Hen Party"" balloon bunting with trendy rose gold finish is the perfect eye-catcher for your party. No helium is needed to inflate these shiny 16"" balloons. Each pack includes 8 foil balloons, measuring 16"" each, plus a straw for easy inflation and ribbon.